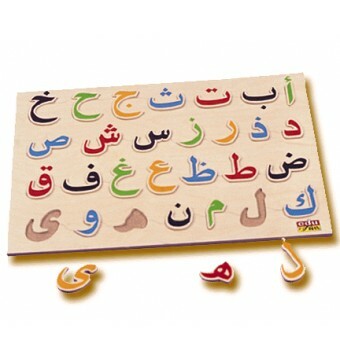 Our best selling Islamic toy teaches the child the shapes and the sequence of the 28 Arabic Alphabet. The child will spend hours playing, recognizing, and learning all the alphabet in an easy and fun way. The toy is made out of high quality wood, all paints are non toxic, and approved for children use. For children 3 yrs and up.